I am always looking for something different on shelf and get excited when a new product appears to challenge the thinking of conventional packaging. 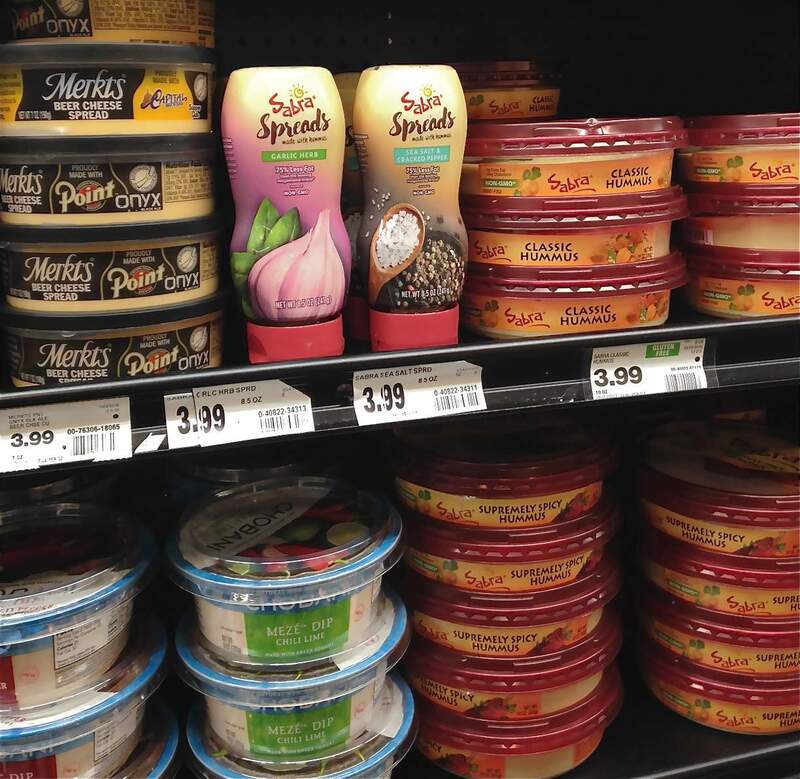 As I was walking past the hummus aisle, which seems to always be expanding, the Sabra® Spreads package caught my eye. The package was so structurally different from the array of hummus and spreadable condiment tubs I had to investigate further. (Battle won – it interested me enough to make me pick it up, read it and put it in my cart). One of the main issues with tub-style packaging is that the primary display panel facing the consumer can be very small simply because of the limitations imposed by the depth of the container. Most tub packaging is designed to be stacked on top of each other to maximize shelf space – so there is only so much information you can present to the consumer. 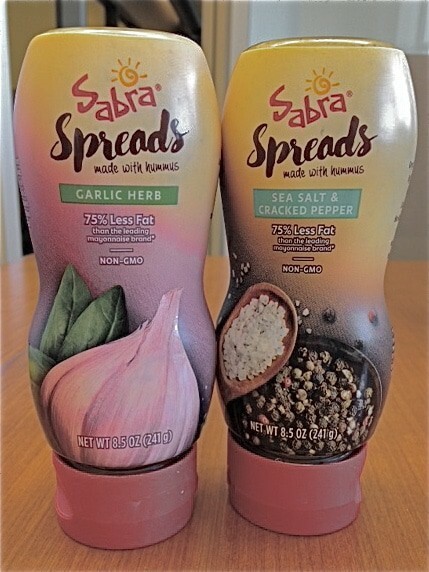 Yes, there are some brands with packaging that display the top panel of the container, and that have greater potential to immediately tell their story, however, with Sabra® Spreads, you have an entirely different squeeze bottle standing among the tubs. The Sabra Spreads front panel design is centered on large photographic images representing the flavors offered in each container. The recognizable Sabra brand is proportionally smaller than on their conventional tubs and supports the larger festive, casual script font used for Spreads. However, this is where things start to fall apart for me. The graphics clearly say, “made with hummus”, which to me implies that hummus has been added to or incorporated into another spreadable medium (a la mayonnaise). This is further reinforced with the statement “75% less fat than the leading mayonnaise brand*”, which suggests this is something like mayonnaise but better for you – it never goes the distance to explain exactly why it is better for you or why it is different from their tub-style hummus. To get a better idea of what the product is, I turn to the back panel and the microscopically small ingredient copy and find that this is indeed hummus in a squeeze bottle. I conclude that the innovation is in the container and its delivery system. All in all, the package structure and simple design have great shelf impact compared to the tub-style products, including the established Sabra packaging. The bottle’s hourglass shape fits neatly into the hand and is an easily consumed size. The imagery is bold and concise, simple to understand, and focused more on the flavoring than the chickpea. From that standpoint, the package works – the exception being the small, white hard-to-read ingredient copy. I so miss the window on the tub-style packaging that allows you to see the product, but if you turn the bottle upside down you see the content. In the end, as a product package, this does a good job of “spreading” hummus in a different direction.